When the Trevecca Nazarene University Physician Assistant (PA) program began in 1976, the profession itself was only 11 years old. Created in the mid-1960s, the PA profession was designed to remedy a shortage of primary care physicians. Trained to be experts in general medicine with a focus in primary care, PAs can diagnose, prescribe medication and make treatment decisions, often working in collaboration with a team of medical professionals and within many specialties. Dr. Eugene Stead, chair of Duke University’s Department of Medicine, established the first PA program in 1965, basing the education model on the fast-track training doctors had received during World War II. The first PA class in history—composed of four ex-Navy Hospital Corpsmen—graduated from Duke in 1967. PAs soon became a vital part of the American healthcare system, helping to create greater access to much-needed medical care. When Trevecca launched the PA program in 1976, it was the first of its kind in the state. Trevecca’s decision helped pave the way for other PA programs in the relatively new and growing field. Trevecca’s first PA class graduated in 1978 with 10 students total. Throughout its 40 year history, Trevecca’s PA program has graduated a total of 1,395 students, including 47 in 2016. Blazing a trail where no other Tennessee university had gone wasn’t easy. Trevecca’s PA program began with great forethought and vision, but meager resources. Vastbinder was instrumental in the success of Trevecca’s PA program. A pediatrician, he came to Trevecca from the University of Kentucky (UK), where he had been an associate professor and director of UK’s PA program, which he designed and launched. When Trevecca officials became interested in creating a PA program, Vastbinder first served as a consultant, helping University officials to understand what they’d need to do to make sure the program was accredited. Trevecca President Mark Moore and Dr. William Strickland, dean of academics, soon offered Vastbinder the job of leading Trevecca’s PA program. After much prayer and consideration, he accepted, coming to the University in August 1976. Vastbinder launched the program, then stayed on for nine more years to help it gain traction. Since then, the program has flourished under sound leadership and guidance. “We’ve had great leadership through the years, starting with Dr. Vastbinder,” says Karen Ulmet, academic coordinator assistant for the PA program. Dr. Gerald Michael Moredock’s Trevecca career spanned 26 years, from 1986-2012. During his tenure, Doc, as Moredock was known, served the University in a variety of ways, including medical director of university health, chair of the Department of Allied Health, chair of the Division of Natural and Applied Sciences, and director of the Trevecca PA program. In 2012, Moredock was diagnosed with a brain tumor and retired from his position at Trevecca. He lost his battle with cancer on April 14, 2015. To honor Moredock and his legacy, the program created the Dr. G. Michael Moredock PA Award, which is presented each year during the PA graduation ceremony. Recipients must exhibit qualities a Christian professional should display in the field, including treating patients with dignity and showing Jesus through the profession. Through Moredock’s expertise and guidance, the PA program continued to expand. During his 26 years at the helm, Moredock graduated nearly 750 physician assistants. Bret Reeves, who Ulmet describes as “outstanding in his care given to the students,” currently serves as the director of the program and is prepared to lead it into the future. Reeves took over as director in 2014. From its beginning until now, the Trevecca PA program has worked hard to stay up-to-date with accreditation and stay relevant within the health care field. Reeves doesn’t see that changing anytime soon. The faculty within the program value their students and strive to develop strong mentoring relationships that go beyond academics. When the program started in 1976, the program faculty knew they were looking for a different kind of student. They wanted individuals who would enter the medical field with all the knowledge they needed, but also with a passion for serving. Now, 40 years later, that’s still that focus, reflected in the program’s mission statement. 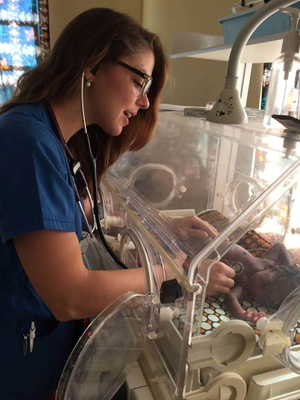 The mission statement reads: The Physician Assistant Program exists to prepare professionally competent physician assistants who will use their skills to serve their communities in compassionate ministry. 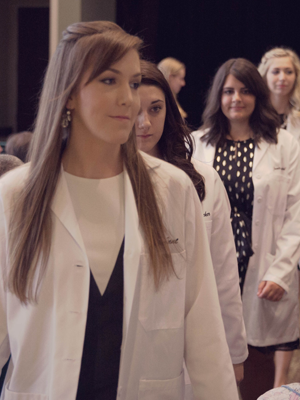 The Trevecca Physician Assistant program has been growing strong for 40 years and been helping and guiding PAs into the medical field by providing them with the resources they need to be successful and knowledgeable and make a difference within the world. Reeves says he and others in Trevecca’s PA program plan for that to continue long into the future.